If you are looking for a simple, full-fat keto breakfast idea, look no further. 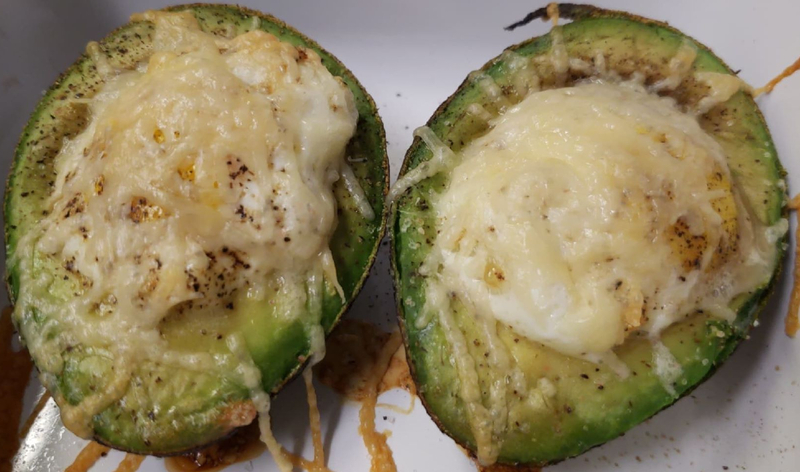 Baked avocado eggs for the win! This meal will leave you feeling full and help you jumpstart your day. Slice avocado in half, leaving the outer shell. Scoop out a little bit of the center flesh, making room for the egg. Place the avocado into a glass baking dish. Pour egg into small bowl, scoop out the yolk and place into the center of the avocado. Scoop additional egg white and fill the center of the avocado. Repeat for the additional avocado half. Sprinkle with pink Himalayan salt and pepper. Remove from oven and sprinkle with parmesan or other cheese. Return to the oven for an additional 3-5 minutes until cheese is melted.